The Winchesters might not be afraid of no ghosts, but perhaps they should be afraid of Lizzie Borden’s legacy. If an axe murderer isn’t enough to give them pause, the fact that the Darkness is controlling a subsequent murderer in Borden’s name should be. Ah, the joys of an old-school hunt gone terribly wrong. 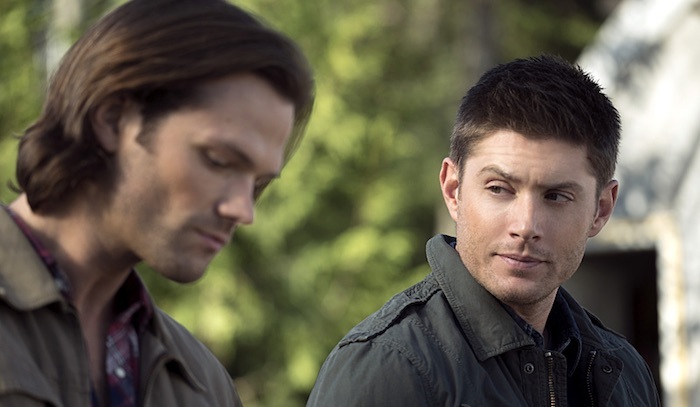 I am loving the season so much for the fact that Sam and Dean seem to be back on the same page. They’re open and honest with one another, able to work a case like the old days, and it feels so refreshing compared to what we’ve seen in the immediate past. They also are back to their brotherly banter, and that is what I’ve been missing the most. This episode, we got to see the teasing and love once again. Go Team Winchesters! The case originated because a young couple got axed to death in their hotel room at the Lizzie Borden Bed and Breakfast. This got Sam’s interest immediately, not only for the mysterious circumstances, but also because he’s got a fetish for serial killers. Dean knows it, and he’s using it to his advantage to rag on his little brother. But, still, they take the case and head out on the road. And despite the temptation that Sam might get to see the ghostly serial killer of his dreams, alas, it was not to be. It was all a hoax, from the EMF readings to the electricity problems to the ghostly voices. But if you’re going to run a B&B and museum about Lizzie Borden, then you’ve got to play the part. What looks like a bust actually turns out to be something a bit more twisted. Repeated victims across two counties had their ties to one dark entity, Amara. She’s been sucking out souls, and leaving the would-be murderers empty inside. However, it’s very interesting to see the difference in how soullessness affects each person. While Len is just empty, but still had a conscience, the babysitter is empty and happy to exact her brand of justice upon others. And their outcomes reflect that difference as well. While the babysitter has to be stopped, but doesn’t want to be, Len has enough of his own self-realization to know that he has to be stopped and that extreme measures might be the only solution. 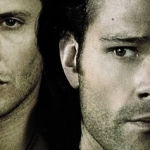 Since Dean could not deliver his death, as Len hoped, I liked that he decided he would sacrifice his freedom for his own protection and the protection of others. Without a soul, he knows he’s going to slip, so it’s better for everyone if he’s locked away. Sad, but probably the best option. 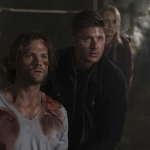 Also interesting to see that Dean is starting to evolve, maybe, and get back to the Saving People, Hunting Things mantra rather than the Kill Them All mindset he’s been stuck in for a while. It’s good that the boys got clued in to how fast Amara was growing up, and that she’s using souls to do it. Already looking like a 12-year-old, it will only be a matter of time before she’s fully grown and fully powered. How much will she grow in strength when that happens? She’s taking souls and leaving bodies in her wake, and the Winchesters just have to follow the bloody path right to her door. 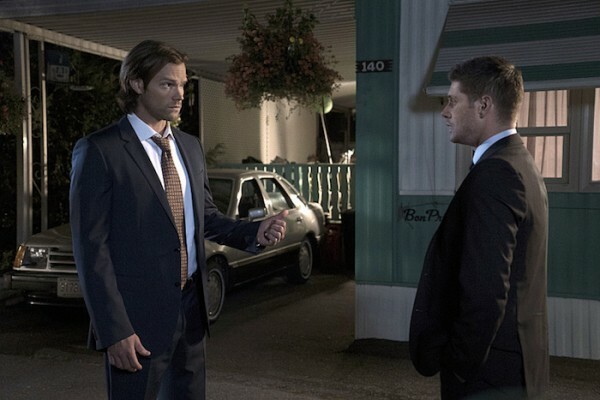 The showdown is coming soon, we know, but Amara’s hold on Dean might prove difficult. What power might she have over him? And can he overcome it? With the Mark of Cain still playing a prominent role in the storyline, I just hope that the Winchesters’ bond is stronger than the force that even the monsters are scared of. It’s going to be an exciting time!